Join me for an on-the-aide conversation about Top Tips and Techniques for Expanding One’s Empathy. Radio Empathy is BAAACK by popular demand!!! Not to be missed . . . Click here to play the show: 10 Top Tips and Techniques for Expanding Empathy. 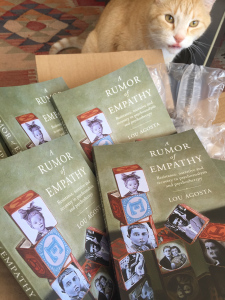 Join me [Lou] for an on the air conversation on Empathy Radio focusing on top tips and techniques for expanding ones empathy. Click here to play the show: 10 Top Tips and Techniques for Expanding Empathy.